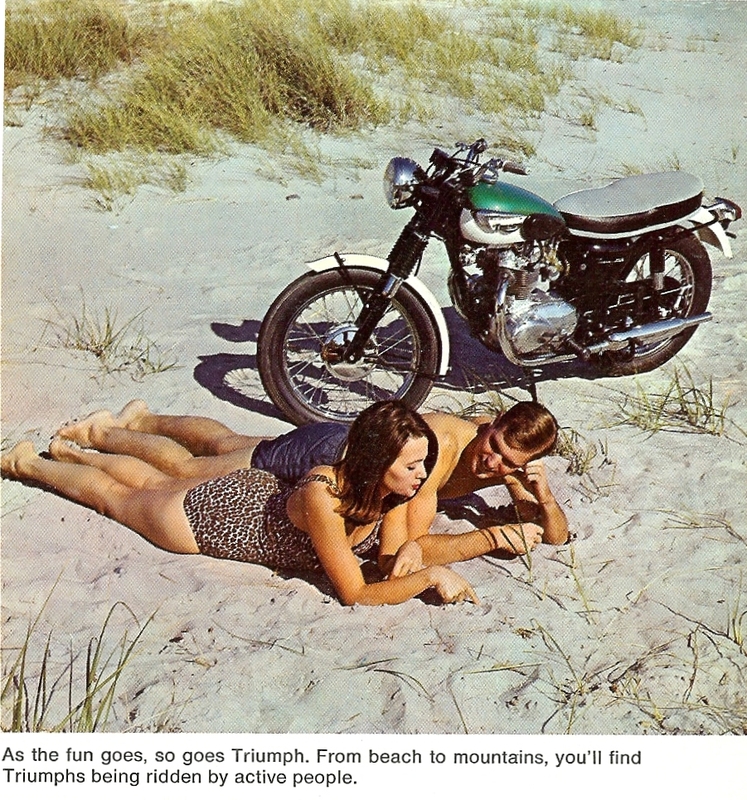 The coast beckons﻿ those who ride the Triumph…..
﻿… and a relaxing beach awaits. Performance on windy roads; both wheels aloft! 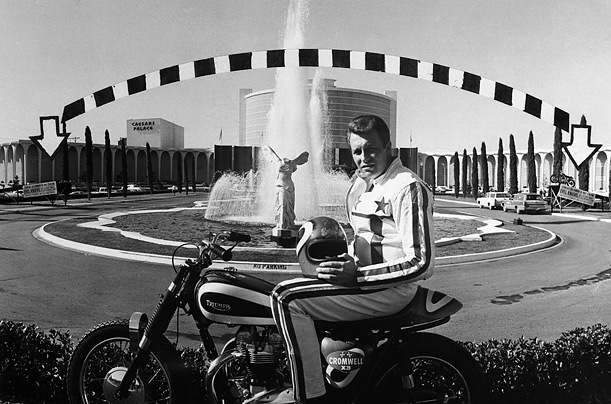 Motorcycle showman extaordinaire ~ Evel dominated the stunt world of riding through several decades, fans eagerly waiting for him to jump cars, buses, fountains, and the Snake Canyon. 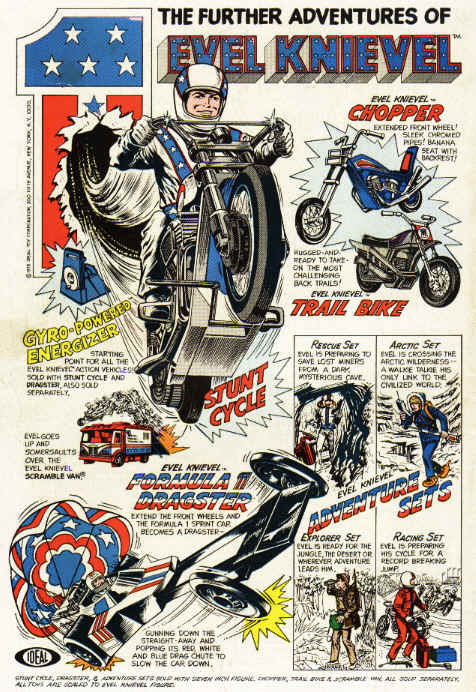 With star spangled cape flying, there always seemed to be some sort of spill on the landing ramp, stretcher borne exit and shaky ‘thumbs up’ from the rider who, I’m sure, introduced many a boy to the daredevil world of motorcycling. 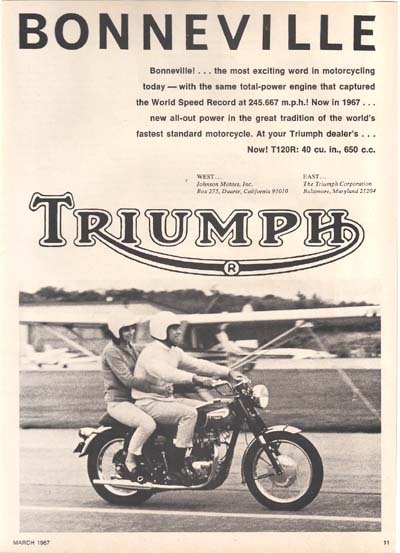 Where does Triumph come in? 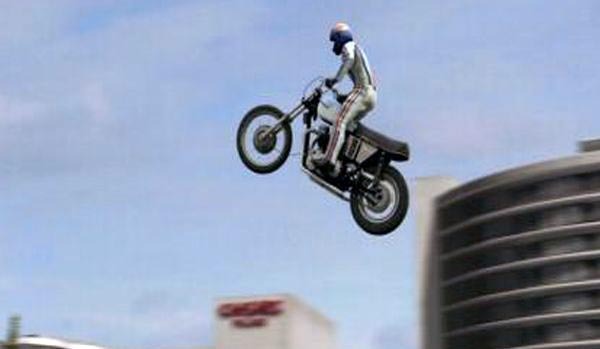 Well one of his most famous jumps was over the fountain at Caesers Palace in Las Vegas NV. 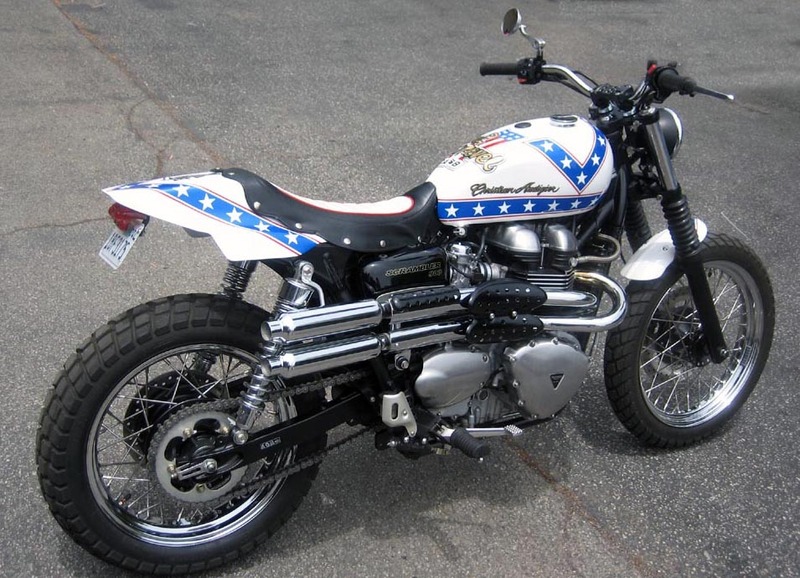 He rode a Bonneville 650. 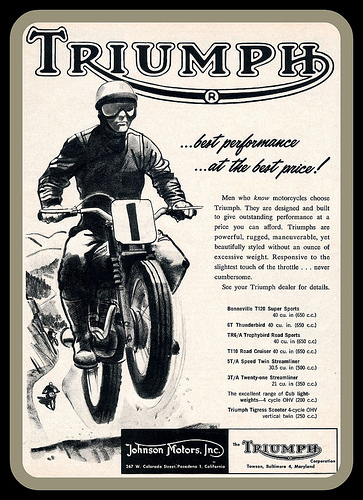 Triumph even commemorated the 40th anniversay of the stunt with a special: a sweet looking version of their Scrambler model. 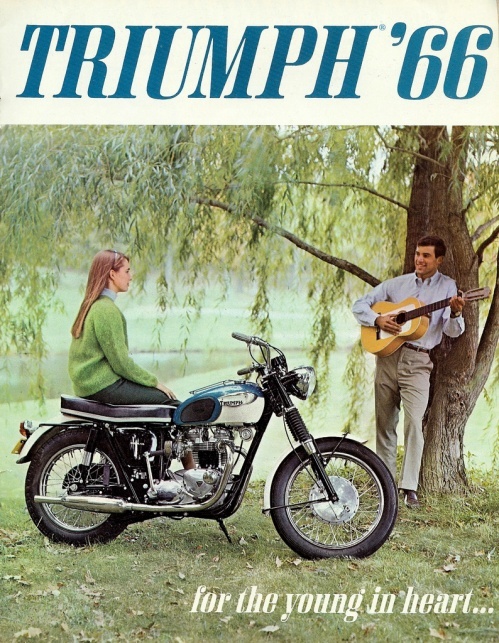 High pipes, shortened mudguards and I’m sure a ripping twin sound. 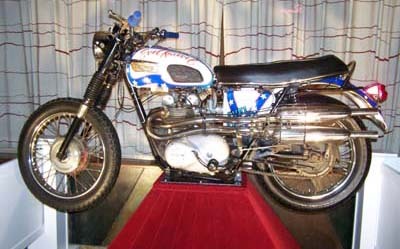 Here’s one of the original 650’s on display. 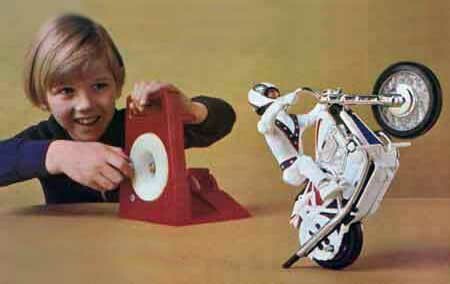 Now, any boy growing up in the mid-seventies yearned for the popular Evel Knievel Stunt Cycle. I had the chopper. Rev up the ‘energizer’ and watch him go. Ramps were set up in schoolyards, across back lawns and along the streets. 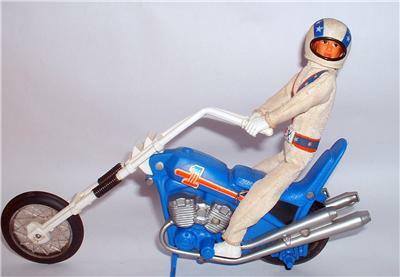 My figure of Evel suffered a fractured ankle: a piece of the wire armature poked through the thick rubber skin. Much like the real guy! Smaller die-cast bikes also apeared; raced alongside my Britains bikes. 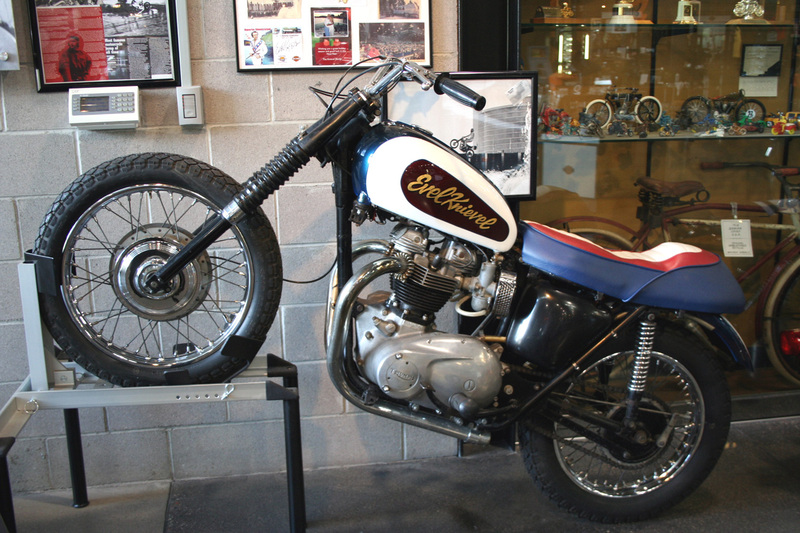 These modelled after Harley Davidsons, his latter s’steeds’. 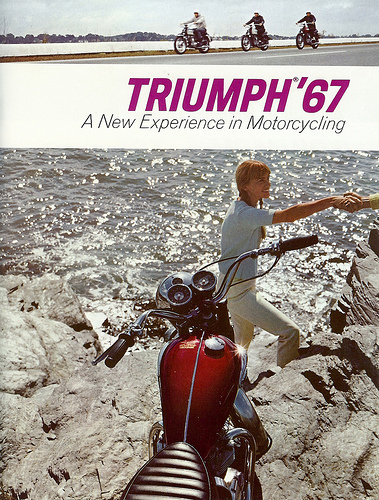 Now, honestly if you were going to jump over things would you want a lump of iron like a Harley under you? 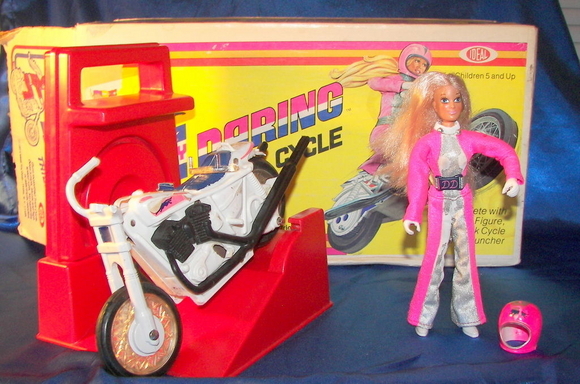 There was even a toy marketed soley for girls, Derry Daring with pink jumpsuit, long blonde hair and matching stunt cycle and energizer: classic stuff…. 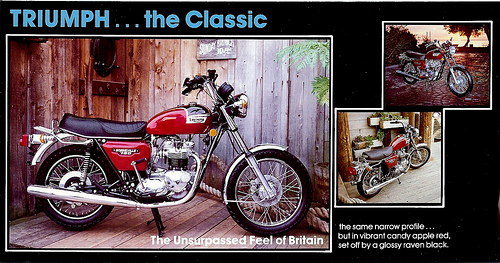 sadly this didn’t make it over to the UK. 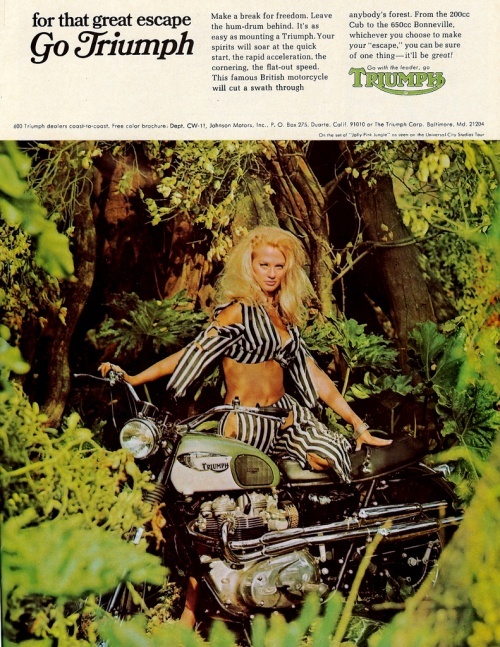 I wonder how many girls were inspired to ride? 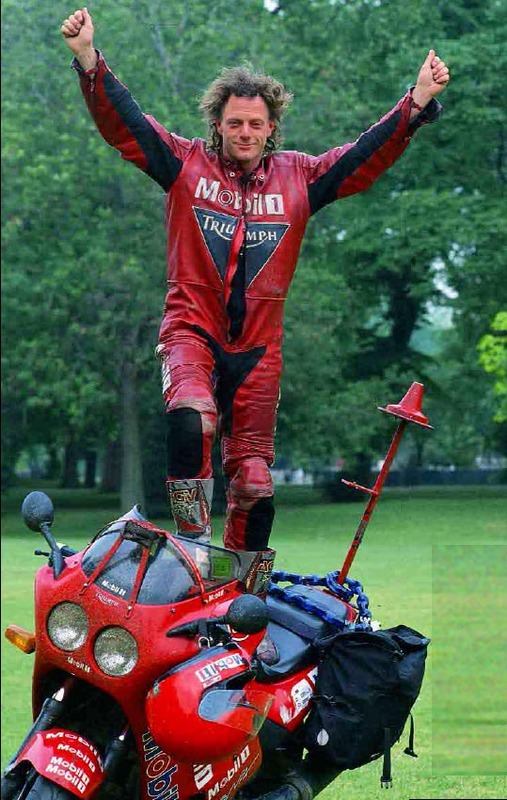 Another journey around the world undertaken was in 1998 by Nick Sanders, professional long distance biker extraordinare, who rode a world record 19,930-mile in a record riding time of 31 days 20 hours. He has since repeated this feat in faster time on a Yamaha R-1. The post ride look is priceless… absolutely knackered and pleased it’s over.